Brian is an Associate Professor at Worcester Polytechnic Institute (WPI) in Worcester, Massachusetts, USA. He holds appointments in the Department of Fire Protection Engineering and in the Architectural Engineering program. He is internationally recognized as an authority on risk-informed performance-based approaches to engineering and regulation. He has conducted research, authored more than 200 publications, given more than 200 presentations, consulted to governments, taught university courses, graduated PhD students and participated in the development of guidance documents in these subject areas. Prior to joining WPI in January 2008, he was a Principal at Arup, where he led the global Risk Consulting practice and Risk & Security Business in the USA, in addition to undertaking fire engineering design and consulting. Prior to that he served as Technical Director and Research Director for the Society of Fire Protection Engineers (SFPE), practiced as a fire safety engineering consultant in the USA and Europe, and worked as an engineering professional and manager at an international fire detection and alarm system manufacturer. As a member of several national and international codes-, standards- and guidance-development committees, Brian helps facilitate the transfer of knowledge between research, practitioners and policy-makers. 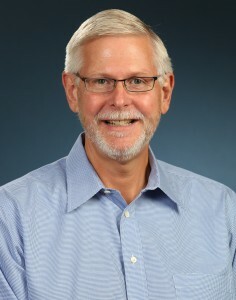 He is Chair of the NFPA Technical Committee on Fire Risk Assessment Methods, Member of the SFPE Standards Committee on Design Fire Scenarios, Member of the SFPE Engineering Task Groups on Fire Safety in Very Tall Buildings and on Fire Risk Assessment, and Chair of the US TAG to ISO TC92 SC4 – Fire Safety Engineering. Brian is a Vice President and Member of the Board of Directors of the Society of Fire Protection Engineers and of the Managing Committee of the International Association for Fire Safety Science. He is a licensed Professional Engineer in Connecticut and Massachusetts, a Chartered Engineer and Fellow of the Institution of Fire Engineers, and a Fellow of the Society of Fire Protection Engineers.